Ninety MPs have signed a letter calling on the prime minister to set up a cross-party convention on the future of the NHS and social care in England. They say a non-partisan debate is needed to deliver a “sustainable settlement”. The letter to Theresa May and Chancellor Philip Hammond said patients were being “failed” by the system. A government spokesperson said it was “committed” to making the sector sustainable. The government had already provided an additional £2bn to social care over the next three years, the spokesperson added. One-third of the MPs who have signed the letter are Conservative. They include Sarah Wollaston, chair of the health select committee, former education secretary Nicky Morgan and Andrew Mitchell, a minister under the last government. Tories George Freeman, former policy adviser to Mrs May and Sir Nicholas Soames, are other signatories.Labour MPs to sign include Liz Kendall, Chuka Umunna, Hilary Benn, Frank Field and Caroline Flint. Among the Liberal Democrats to have signed are Sir Vince Cable, Sir Ed Davey, Tim Farron and Norman Lamb.A similar initiative with a much smaller group of MPs, including Ms Wollaston and Mr Lamb, was launched earlier in the year. The heads of three commons select committees also demanded “swift” action. This resulted in a meeting with Downing Street officials. The latest letter, now backed by a broader range of senior parliamentarians, said the general election had interrupted these plans. “The need for action is greater now than ever,” it said. The letter argued that only a cross-party NHS and social care convention – a forum for non-partisan debate – could deliver a sustainable settlement for these services where conventional politics had failed to do so. “We understand that fixing this is immensely challenging and involves difficult choices,” the MPs said. “We all recognise, though, that patients and those needing care are too often failed by a system under considerable strain.” The letter urges the government to address short-term pressure in the health system in next week’s Budget – and to establish a cross-party process to work out longer term solutions. Councils have complained that the government has not given them enough money to plug shortfalls in social care funding. A growing older population, and greater demand for care and nursing homes, has put pressure on local authorities. The government said MPs were already going to be consulted on social care, ahead of it publishing a green paper policy statement next year. 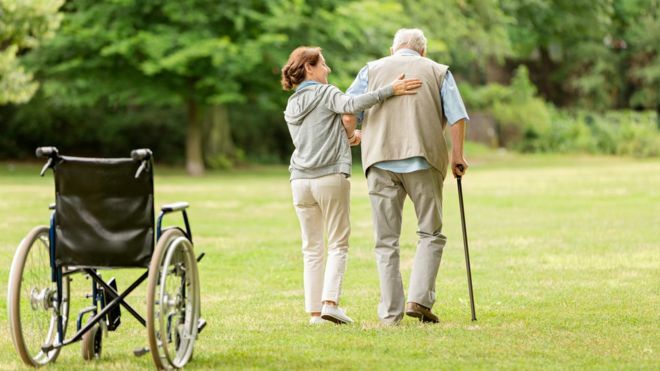 A government spokesperson said: “We have announced a cross-government green paper on care and support for older people with input from a group of independent experts.